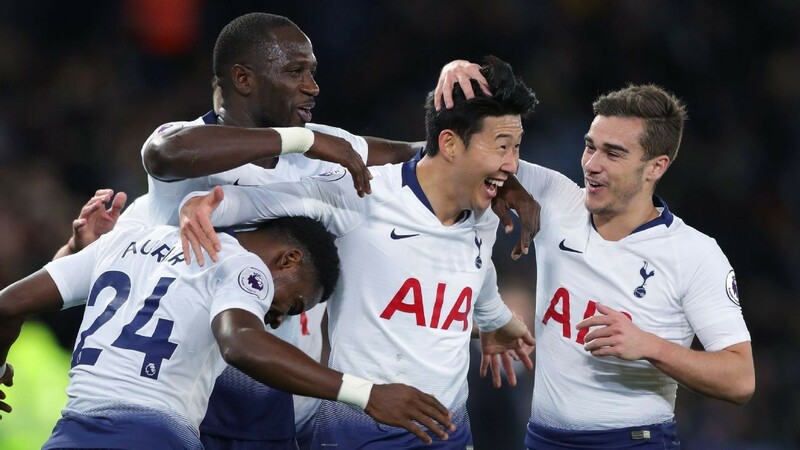 Son Heung-Min and Dele Alli each scored to give Tottenham Hotspur a 2-0 victory over Leicester City in Premier League action on Saturday. The win at King Power Stadium moves Spurs into the third spot of the table above London rivals Chelsea and Arsenal, while Leicester remain in ninth. Son scored late in the first half with a left-footed shot that bended over Leicester goalkeeper Kasper Schmeichel in the top corner. Alli doubled the lead in the 58th minute with a diving header off of Son's streaking pass to the back post.